Fabio da Silva has spoken about his last conversation with Emiliano Sala and how the Nantes players found out about his plane crash. Sala was found in the wreckage of his plane which had crashed en route to Cardiff in the English Channel earlier this year. Pilot David Ibbotson was also on board, and the events surrounding the tragedy rocked the football world as tributes have poured in for the two victims. Fabio played alongside Sala at Nantes, and revealed that he spoke with him prior to his move to England while also discussing how the squad first heard that the plane had gone missing. 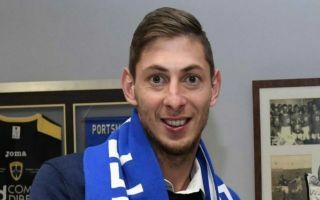 “Emiliano ate lunch with us on Monday, and my last words to him were ‘If there’s anything I can help you with in Cardiff, please tell me because I know the club and the city.’ He nodded and said he would text me,” he told ESPN. “We came into training on Tuesday morning and Nico [Pallois], our centre-back, said to Anthony, who works at the club, during breakfast: ‘Just check what time Sala arrived in Cardiff because he never texted me back. He texted me when he was on the plane, and he said he would text when he arrived.’ Nico wasn’t worried. We sat down for breakfast; the players have every meal together at Nantes. “Nico was destroyed. Then Anthony told everyone. People started to cry. When you hear that the plane is missing, you fear — you know — that something terrible has happened. You want to believe something else, but you know. The coach [Vahid Halilhodzic] was very upset, and the players went home. The preparation for the cup game stopped. The coach didn’t care if we lost points or got fined: he said we were not playing. The coach had cried in front of us when he said Sala was leaving — he was very close to him. It’s truly a heartbreaking tragedy for all concerned, with Sala’s family undoubtedly still looking for answers as to how it happened. In a rather unsavoury development, The Sun report that Cardiff CEO Ken Choo has informed police that he was threatened by agent Willie McKay in a meeting over the Argentine striker. The situation threatens to rumble on between the two clubs as well as the agent, and so it’s hoped that things are cleared up sooner rather than later.